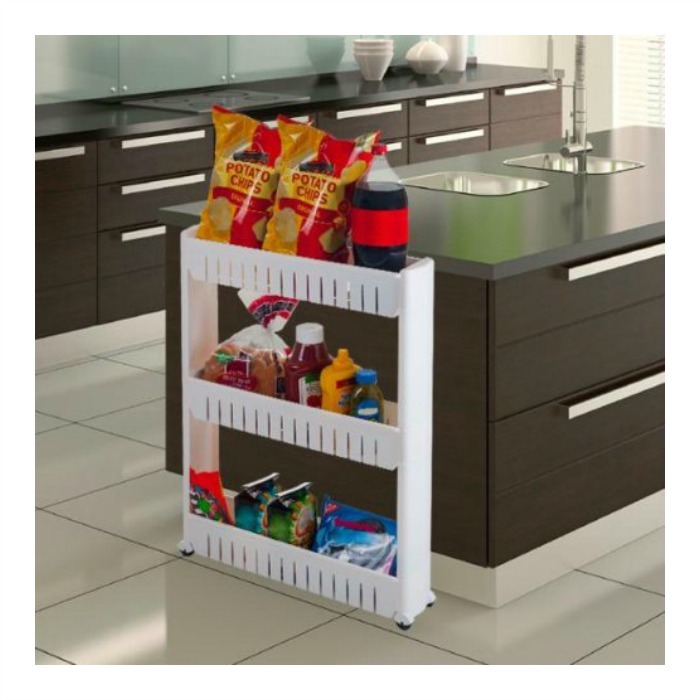 3-Tier Slide Out Pantry Just $13.99! Down From $45! You are here: Home / Great Deals / Amazon Deals / 3-Tier Slide Out Pantry Just $13.99! Down From $45! Amazon has this 3-Tier Slide Out Pantry for just $13.99 (Reg. $45)! Plus you can get FREE shipping on orders over $35 or if you are an Amazon Prime Member. Save space with this Three Tier Slide Out Pantry! Perfect for the kitchen, laundry room, bathroom, or even the nursery! The 5″ wide shelves are perfect for squeezing into tight spaces like next to the refrigerator or in between your washer and dryer. PVC wheels make it easy to move from room to room!.